Listening to a local station with the BC-348-Q until we lose power. Here at SWLing Post HQ we’ve been under a Winter Storm Warning since yesterday–it’s not set to expire until sometime tomorrow. This storm hasn’t been all snow–it’s a mixture of snow and ice. If this continues, I fully expect to lose power at some point today. In general, we’re prepared to handle this sort of thing: our refrigerator and freezer are powered by solar and completely off-grid, we have a super efficient RAIS woodstove to keep us warm and of course, we have a generator at the ready if needed. As I write this post, I’m listening to the Signal Corps BC-348-Q (photo above) which is tuned to a local AM broadcaster. It’ll fill my shack with local news/tunes and its vintage valves will do a fine job warming this small room until the power eventually goes out. When it does go out, I’ll switch to my blackout buddy, the CommRadio CR-1A. I find that the CR-1A is nearly ideal for off-grid and field listening, as long as you have a good external antenna. The internal Li-Ion battery powers the thing for ages and it has an incredibly capable receiver. 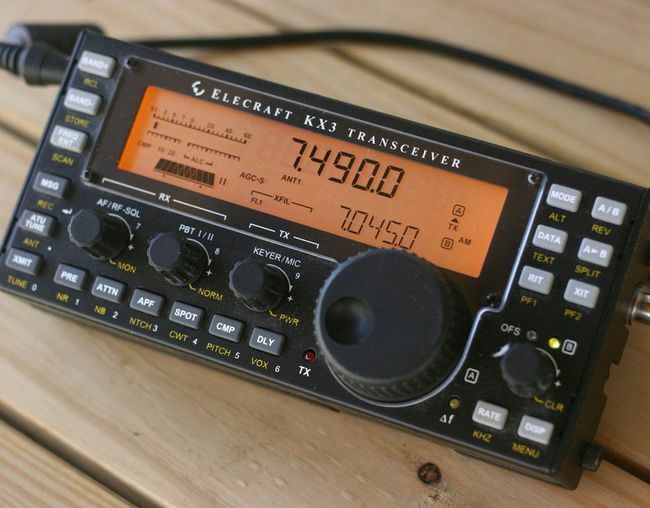 Of course, I also have an Elecraft KX3 and KX2 which can be powered by battery, but I tend to use the CR-1A for broadcast listening and save the KX2/KX3 for off-grid ham radio QRP fun. In addition, I have the new battery-powered CommRadio CTX-10 transceiver in the shack. I’ve been receiving numerous emails about this particular field rig because there are so few CTX-10 reviews out there even though it’s been on the market since late July. Please note that I’ve been giving the CTX-10 a thorough evaluation over the past few weeks and plan to publish my initial review in the next few days. Even though I live in a very rural and remote area with little-to-no RFI, when the power is cut, my noise floor still drops . We’re not immune–like most homes, we have power supplies and devices that emit radio interference. It’s funny: most urban radio enthusiasts I know don’t fear power outages, they prepare for and embrace them! When all of those RFI-spewing devices go silent, it’s simply amazing what you can hear from home on frequencies below 30 MHz with pretty much any receiver. Personally, as long as I have a means of 1.) powering my radios, and 2.) making coffee (extremely important), I consider myself properly prepared. I’ve always got those two points covered. Bring it, old man winter! I’m ready to play radio! This entry was posted in Ham Radio, News, Radios, Shortwave Radio and tagged CommRadio, CommRadio CR-1, CommRadio CR-1a, CommRadio CTX-10, CR-1, CR-1a, Off-Grid radio on December 9, 2018 by Thomas. Off-grid/RV enthusiasts need a radio-quiet solar charge controller: reader advice? 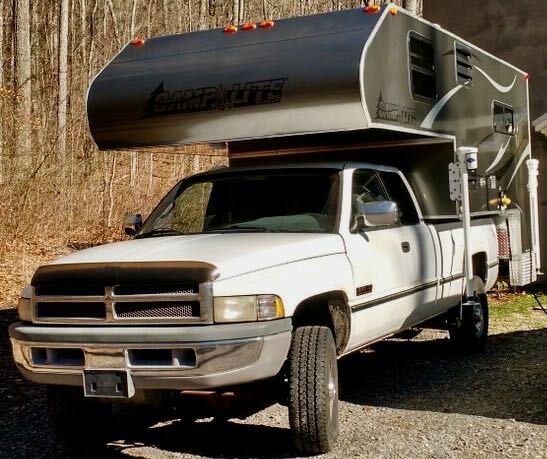 I’m currently in the process of adding 200-300 watts of 12-volt solar panels to my truck camper. 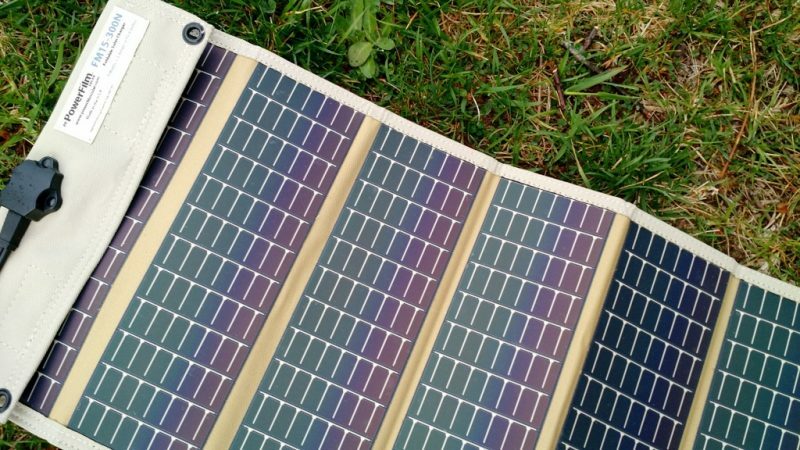 Solar panels will keep my camper’s 12V deep-cycle battery topped off, thus allowing longer stretches of time for boon-docking or primitive camping, during which an occupied camper is off-grid from shore power. My truck camper actually came with a simple built-in charge controller which charges the battery via shore power. Thing is…this shore power charger is incredibly noisy when I’m on the radio. The QRM it generates is broadband, and almost entirely wipes out HF and MW radio listening. Because of this, I’m forced to unplug my power whenever I’m in the camper and want to hop on the air. And since the whole idea of camper living is to enjoy a bit of rest-and-relaxation, in other words, to pursue one’s hobbies in modest comfort, having to unplug the power––or else not play radio––limits my total enjoyment of RV camping. What’s more, I suspect I’m not the only radio listener or ham radio operator with an RV who has encountered the noise dilemma. What’s a radio geek with an RV to do––? A ham radio buddy who is an avid RVer recommended the Solar Boost 3000i (see top photo above). While it might be overkill for my application, I’m willing to invest, knowing it may charge without creating RFI. 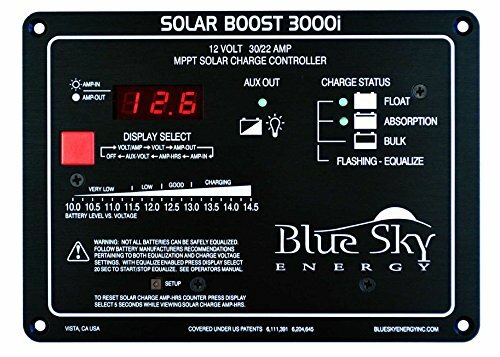 But before I do, I’m curious if any SWLing Post readers have any experience with solar charge controllers, and/or can confirm models that create little to no RFI? I’d even appreciate knowing which models do pollute the spectrum––models to avoid, in other words, if radio listening or ham radio operations are your goal. My hope is that SWLing Post reader recommendations may not only help me with this problem, but might help other RVer/off-grid radio enthusiasts, as well. This entry was posted in Accessories, Ham Radio, News, Shortwave Radio and tagged Off-Grid radio, Off-Grid RV, Quiet Charge Controllers, RFI Charge Controllers, Solar Ham Radio, Solar Power, Solar RV, Solar Shortwave Radio on July 10, 2017 by Thomas. Off-Grid Radio: Portable power recommendations? This year, I have a lot of portable radio play in mind as I travel across the continent. At some point, I even plan to spend several days in an off-grid cabin on the coast. In the past, I’ve powered my 12 VDC ham radio transceivers with a system comprised of three PowerFilm solar 5 watt foldable PV panels (see below), a Micro M+ charge controller and several gel cell type sealed batteries (a couple 7 Ah and one 20 Ah). The system works well, but the batteries are a little heavy and unhandy when I want to hike into a remote site or play radio on the beach, for example. In terms of receivers, my portables (like the Sony ICF-SW7600GR, Tecsun PL-660, etc.) simply use AA batteries which I charge with PowerFilm AA PV chargers (see above). My CommRadio CR-1a has an internal battery that will power it for hours at a time. Power is much less of an issue with receivers because they’re quite resource efficient. I mainly need a system to power my QRP ham radio gear, and that’s where I could use your experience! I need a new charge controller since my Micro M+ (no longer produced) is now being used to power a remote antenna tuner. Of course, I’ll need an inexpensive charge controller that doesn’t produce RFI (radio interference). It would be an added bonus if the charge controller could also charge my batteries when grid power is available. I’d like something relatively lightweight and safe. Note: LiPo packs worry me, especially since I had one (an early GoalZero model) quite literally melt down and burn up on my bed only a few hours after bringing it back from an eight hour flight a few years ago. Scary! 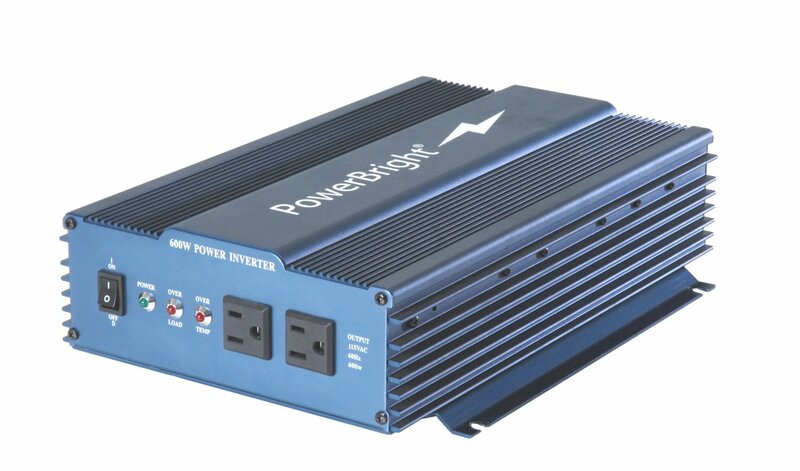 I’d also like a small, efficient pure sine wave inverter that I I could connect to my largest battery and power my laptop for extended SDR spectrum recording sessions while off-grid. I’d love a recommendation from someone who uses one and can confirm a model that doesn’t create radio interference while operating. Post readers: Please comment with your recommendations and include model numbers and links if possible. Thank you in advance! 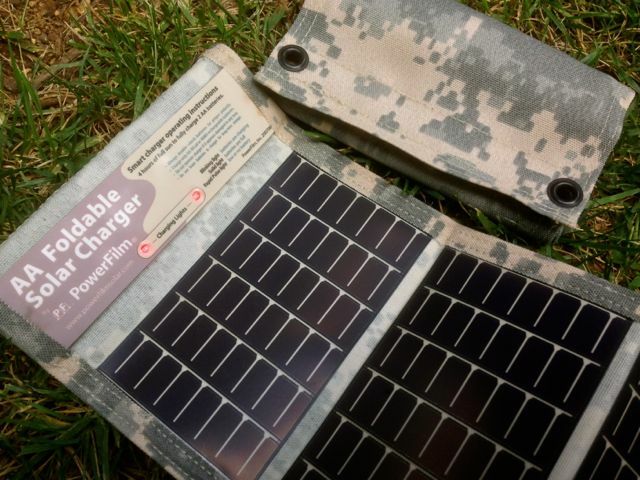 This entry was posted in Accessories, Emergency Preparedness, Ham Radio, News, Portable Radio, Preparedness, Shortwave Radio, Software Defined Radio, Travel and tagged Batteries, Charge Controllers, Ham Radio, Off-Grid radio, Portable Radio, Portable Radio Power, PowerFilm Solar, PV Panles, Solar Radio on April 25, 2016 by Thomas. Like much of North America, we’re currently experiencing record low temperatures and strong winds here at our mountain home. This morning, I woke to no power and no Internet. My iPhone still works though, hence the ability to publish this post. But no power is really no problem when it comes to SWLing. Indeed, for those living in urban areas, power outages represent temporary refuge from all of those electronic noises (RFI) that plague daily listening. I’ve spent the morning SWLing with my CommRadio CR-1. The beauty of the CR-1 is that it can operate for hours on its internal battery and can also be charged/powered via USB or anything from a 6V to 18v DC power source. I’m currently charging the CR-1’s battery from our solar-powered battery bank. It makes me realize that the CR-1 is an ideal, top-shelf radio for off-grid DXing. 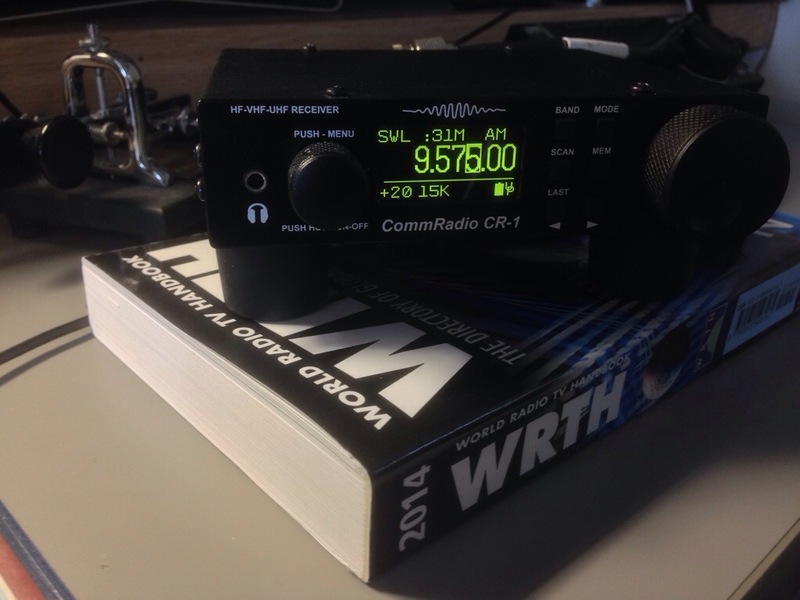 Additionally, I received my 2014 WRTH yesterday in the post. The WRTH is always a welcome delivery, but this morning was even more appreciated since it requires no power source whatsoever to work! No power? No worries! With a WRTH and CommRadio CR-1 combo, I’m a happy listener! This entry was posted in News, Preparedness, Radios, Reviews, Shortwave Radio, Software Defined Radio and tagged CommRadio, CommRadio CR-1, CR-1, Off-Grid radio, Preparedness, WRTH, WRTH 2014 on January 7, 2014 by Thomas.